Today, there are few new companies operating for 1-2 years, which, in addition to attractive trading conditions, deserve a chance from traders. One of those is Binarycent broker that began its journey in the world of trading from 2016. The company owns the brand Finance group Corp with offshore registration. At the moment the brokerage activity is regulated from the VFSC (Vanuatu), which has a tarnished reputation. Speaking of the official website, it is worth noting the fact that it is not so full, compared with those who have been working for years. empty, few sections, some of them are not filled to the end. The site itself has been translated into 7 languages (English, Russian, Spanish, French, Arabic, Thai and German). The broker offers to start trading on the following conditions: the minimum bet is $0.1 and the minimum initial deposit – $10, as well as a quick withdrawal: E-wallets – 0-24 hours, Bank cards – 0-24 hours and Bank transfer – 3-7 days. 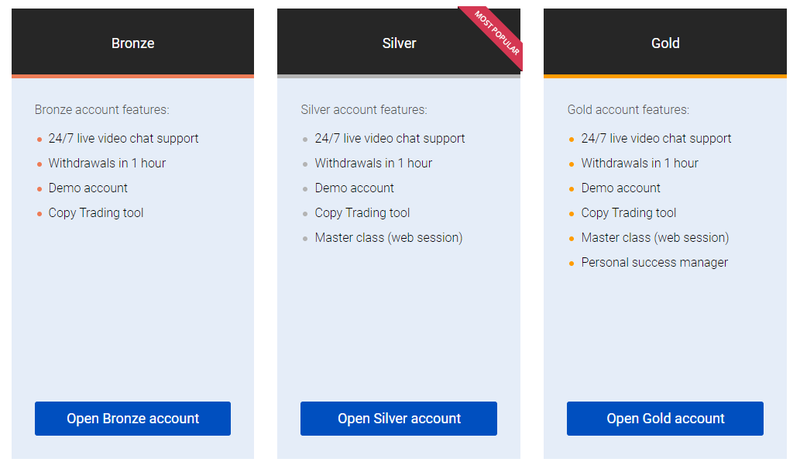 With regards to opening a demo account, access to it is limited and is provided after replenishment of a real trading account. It is possible to trade on weekends. The whole trading process is carried out only through a web terminal. • “Gold” – free registration of a Swiss payment card / trader is provided with a personal Manager. Account balance – $2500-25000. 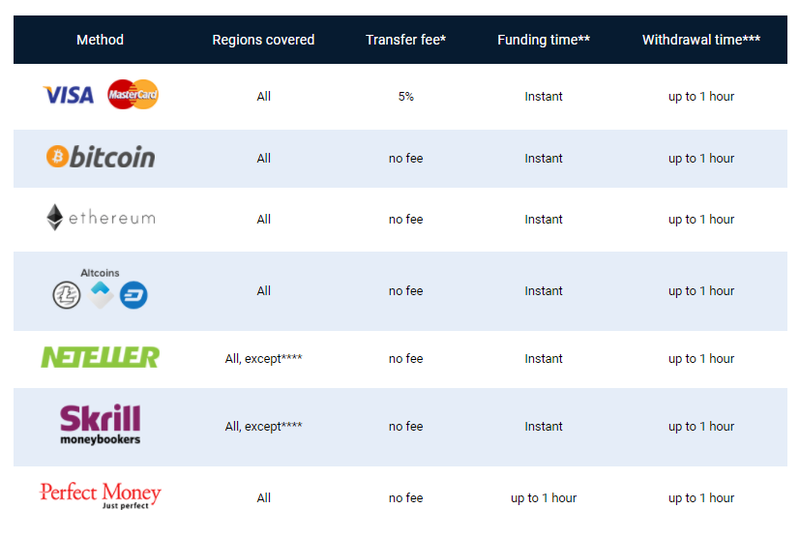 Binarycent provides a fast and reliable funding of the trading account through the popular payment system UnionPay, Alipay, Amex, JCB, Wire Transfer, WEBMONEY, QIWI WALLET, OKPAY, Bitcoin, PERFECT MONEY, NETELLER and credit cards (VISA/Master Card). The minimum amount allowed for withdrawal is $50. Withdrawal is possible only after verification of the person from the withdrawal amount. For an account without bonus: the trader needs to reach 100% of the turnover of the Deposit amount to withdraw funds. For account with bonus – 300% of turnover of the Deposit amount. 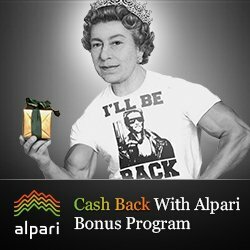 All withdrawal requests are processed within 1 hour. Although the verification process itself may take longer if the trader has not passed it before and has not submitted the necessary documents. • the right part – the settings of the transaction parameters. • the сentral part displays a graph. If you need candlesticks, then the chart from the Trading View website is displayed in the center. In fact, you should not have any problems with Analytics. There are many different indicators and technical analysis tools available. » Charting Tools – the chart from TradingView website that is displayed in a new window. » Trade Pattern Ideas – displays the formed patterns with additional indicator analysis of the chart. » Technical Analysis – is almost a Trade Pattern Ideas,but technical and indicator analysis is already going on here. » Fundamental Analysis – contains key events and prediction of asset price behavior in different scenarios. » Market News – is a list of the main market news. » Economic Calendar – the economic calendar with time and news filters. With a training/education base in the broker on the site is difficult. The trader is offered 8 video tutorials on binary options trading on Binarycent. Discount here can be done on the short-term activities of the broker. 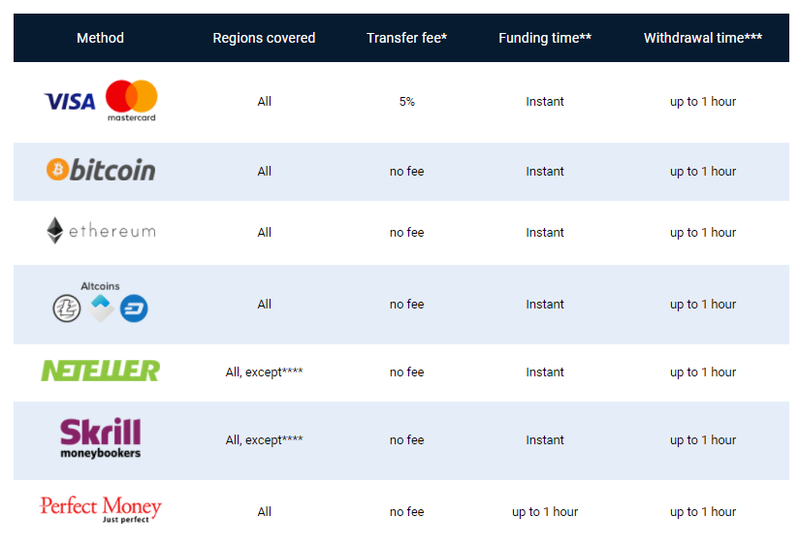 What else you need to know about Binarycent? The broker declares itself as an innovative trading platform, which is supported by personal managers, large deposit bonuses and round-the-clock customer support for online video chat. But despite the very attractive trading conditions, you can find a huge number of complaints from traders that the company does not return the funds without specifying the reasons, even with the successful completion of verification. There are many who are not quite satisfied with the work of technical support, as well as the level of competence of managers. But to make a final conclusion relying on negative opinions so immediately impossible, because there is no real statistics because of the youth of the broker. The conclusion is one – the main issue Binarycent there still is not a long work, in addition to unclear reputation. It is still difficult for the broker to attract a trader to itself, which is why it offers good conditions. Tip from us, if you are going to Deposit significantly more than these conditions, then it is better to wait a while or take advantage of the option from our list of trusted brokers. Binarycent needs time and it is an undeniable fact! Then there will be more information from traders, whether the claimed reality.